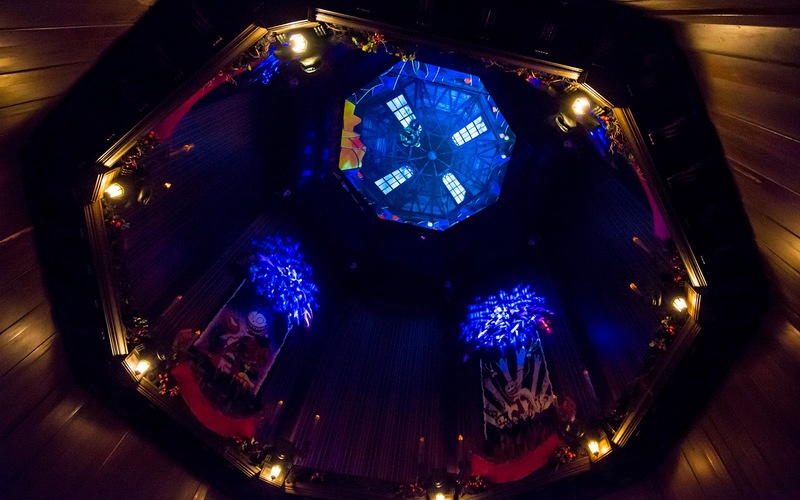 This year, for the 13th anniversary of the Haunted Mansion Holiday, the Imagineers have cooked up a few surprises. Among them is a re-invented Stretching Room experience. The holiday spiel from the ghost host remains the same, but new effects and projections have been installed, and it makes for an interesting and fresh take on this familiar scene! And the other angle, to cover all the portraits. 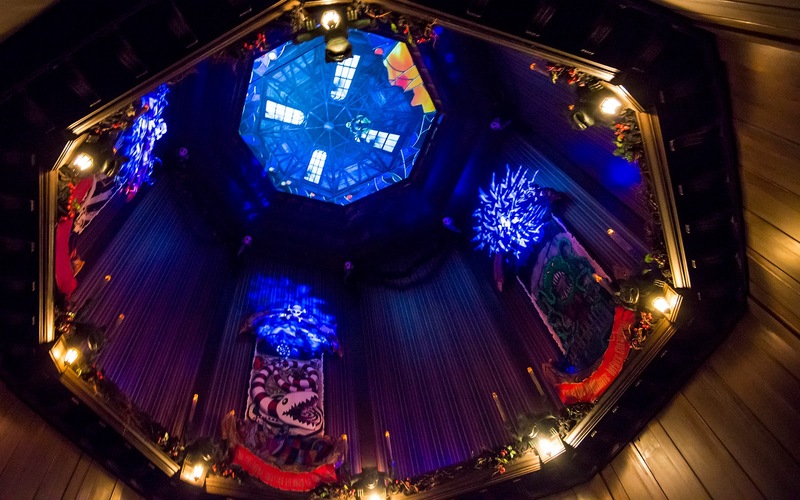 Have you ridden the revamped Haunted Mansion Holiday? If so, what do you think? Do you like the new effects, or do you wish the original version was reinstated?